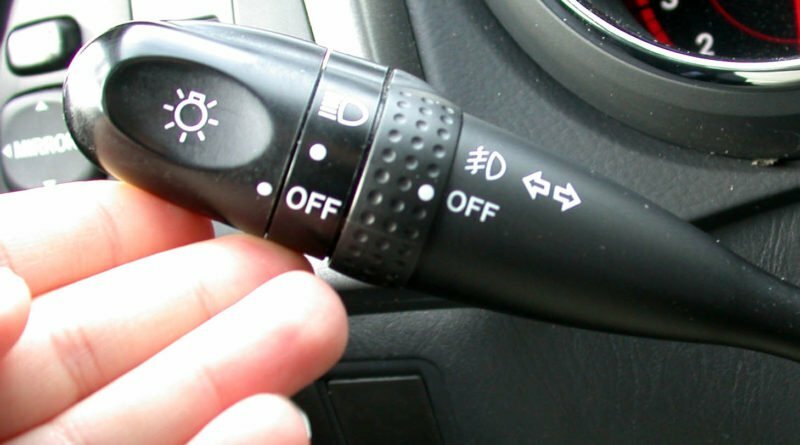 Driving this morning it really hit home how many don’t realize their car is equipped with a revolutionary safety device, the humble turn signal. Signaling other drivers your intention to turn, or to merge, is polite, welcomed, and even wanted by other drivers. So why is it so hard to use? 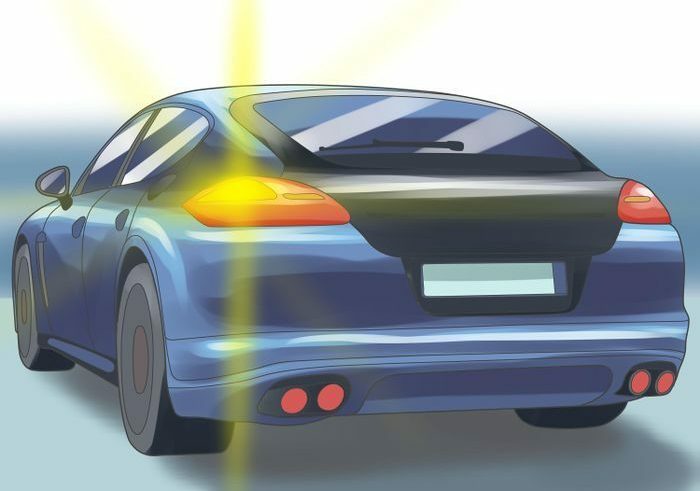 Let’s take a walk back in time to the earliest use and invention of the turn signal. Invented by Florence Lawrence the turn signal has remained relatively unchanged in it’s operation. The major upgrade came when they went from manual flags to actual lights. Because Florence was such a successful actress, she was able to buy her own car and adored driving. She loved learning all she could about the way automobiles worked. “A car to me is something that is almost human,” she said, “something that responds to kindness and understanding and care, just as people do.” In 1914, she developed a mechanical signaling arm that, with the press of a button, it raised or lowered a flag on the car’s rear bumper indicating which way a car was going to turn. After that, Lawrence devised a rudimentary brake signal that worked on the same principle: when a driver pressed the brakes, a “STOP” sign flipped up from the back bumper. Lawrence never patented these inventions and history reflects this in her lack of acclaim. We now know that turn signals have been around since 1914. Why is it still so hard for people to use this potentially life saving device? One theory is that all drivers believe they are racing. If they give away their intentions to other drivers they may get passed. Anecdotal evidence is further provided by the phenomenon of drivers who accelerate when being passed. These drivers typically drive 5 MPH below the posted limit until you attempt to pass them. At this point they will accelerate to a speed beyond what you are traveling to make sure you cannot “come around the outside” and complete your passing maneuver. This is most prominent when the passing driver has properly used a turn signal to alert other drivers of their intention to pass. On the highway even if you manage to pass these individuals at some point they will pass you back at breakneck speeds only to slow back down. Thus reestablishing the running order to their liking. Cars making turns into side streets and parking lots is another area. 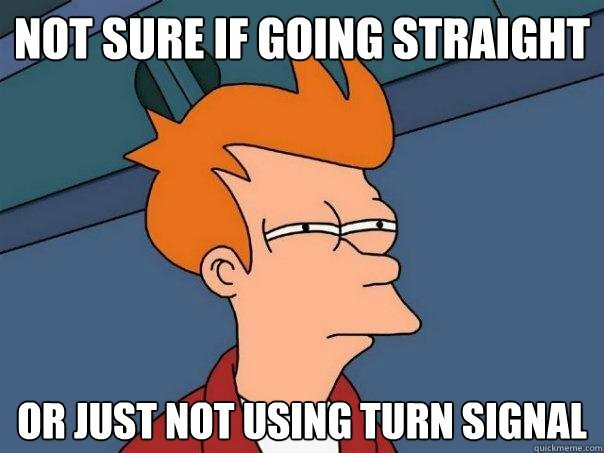 They will refuse to signal their intent to turn. Often times they will turn onto the very street you are waiting to merge from, but because they did not signal you are unable to pull out and move along. The belief is that they may want to change their mind and are afraid you will pull out in front of them. Step 1: With your left hand reach towards the turn signal lever on the left of the steering wheel. On many cars this is also used for windshield wiper controls and high beam actuation. Step 2: Use your left hand to activate the turn signal. Move the lever down to indicate a left hand turn. Move the lever up to indicate a right hand turn. If the system prematurely deactivates repeat this step until you have fully executed the turn. Step 3: Remove your hand from the lever and place it back on the steering wheel. Step 4: Execute your turn, or merge, and make sure the turn signal deactivates properly. If it fails to automatically deactivate use your left hand once again to move the turn signal lever to the middle position. This will deactivate the turn signal signaling you have completed the maneuver and resetting the system to prepare it for the next turn indication. There you have it. The invention of the turn signal, theories on misuse, and some instruction on proper use of the turn signal. Leave your thoughts in the comments!